Cumbria County Council’s budget consultation closed last Tuesday and, as I live and work in the County I decided to make a response. Between 2011 and 2014 they have had to identify savings of £130million. By 2018 their overall spend will have been cut by £213million or roughly a quarter. At one point the council employed over 10,000 people (excluding schools). Today they employ 7,000 people and by 2018 this will drop to 5,200. That means that in three years, 1,800 people who are employed with them today will have left the council. By 2018, they will have virtually halved the size of the County Council. The need for more joined-up thinking in government was underlined yet again last week in a report published by SITRA for the Northern Ireland Executive. This showed that the £65million a year spent ion ‘Supporting People’ in Northern Ireland actually saves the government over £125million through reducing the need to spend on housing, health, social care and criminal justice. In other words, every £1 spent on ‘Supporting People’ actually saves £1.90. Yet in England local authorities, under pressure from central government, continue to cut budgets for ‘Supporting People’, not only causing detriment to service users but also increasing costs for other agencies. This Wednesday I will Chair the January 2015 meeting of the Board of Impact Housing Association. Among other things we will be reviewing our mission, purpose and blueprint. Our strapline in our logo “Impact Improvement through Action” is one that everyone knows, internally and externally. It has stood the test of time since 1975 and still reflects what Impact is about. Our blueprint sets out our ambitions and radical vision for the future. Impact is a locally based housing association providing a wide range of services and working together with our Board, staff, partners, partners and local communities in which we work. Our blueprint clearly explains our purposes and we aim to achieve these in a collaborative way. It also maps who are our customers, our vision for our services and our approach to organisational development. The behaviours and attributes of staff make our vision achievable. Last week the Chartered Institute of Public Finance & Accountancy welcomed a strong set of results by students sitting for both its professional qualification and the institute’s new public audit qualification. The results for United Kingdom students sitting exams in December 2014 showed an overall pass rate of 75%, a slight increase on the 72% pass rate in June. I have been pleased to be part of this as an examiner in Management Accounting. Last week I was in Brixton for a meeting at Community Trust Housing. 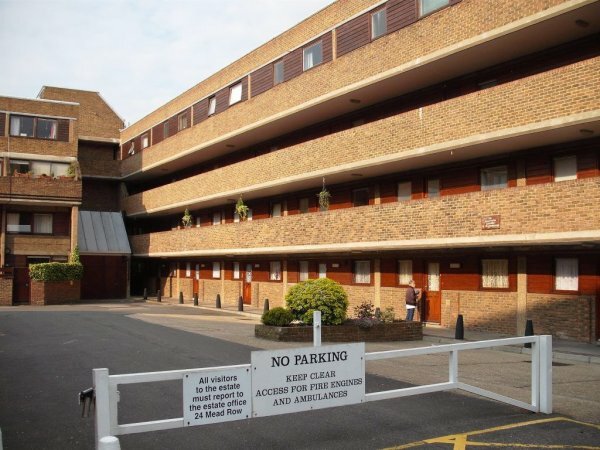 Community Trust Housing is a community-based housing provider that was established following a housing stock transfer from Lambeth Borough Council to regenerate the Stockwell Park Estate, Robsart Village and neighbouring street properties. Community Trust Housing is in the process of delivering a £110million regeneration plan over nine years that is due to be completed in 2017. Eden District Council’s consultation on their 2015/16 budget closed on 17th January and I decided to make a response as I live in the district. The Council will hold revenue reserves of £5.3million at the end of this financial year but it estimates that it requires only £1.5million. However, it is budgeting to retain £3.8million even by the end of 2019. Despite being in a relatively good financial position, the Council has not even considered using its Prudential Borrowing powers to fund investment. It appears to me that there is likely to be scope to increase resources through a changed approach to financial management, value for money and risk management. I am pleased to say that our next seminar and workshop ‘Implementing Self-Financing in Wales’ is proving very popular. A majority of Welsh local authorities with housing stock are already sending delegates and I hope that all of them will be represented come the day. We are holding two sessions: the first in Cardiff on 10th February 2015 and the second in Wrexham on 12th February 2015 so that we can cater for people in North and South Wales. This seminar and workshop is suitable for elected members, corporate managers and accountants, housing managers, housing accountants, tenant representatives and anyone with an interest in local authority housing in Wales. Further information is available on our website at https://awics.co.uk/walesselffin.asp from where you can also book a place online. A brochure can also be downloaded from HERE. This week we launch our new series of seminars ‘All You Want to Know about Risk Management in Social Housing’. Risk Management is gaining a higher profile in social housing because of the recession, austerity, self-financed housing revenue accounts and the Homes & Communities Agency’s new regulatory standards. Wellington Mills in Lambeth, London. Risks are sometimes considered to be more significant in flats. What does it achieve? When should we do it? Those who should attend include Board members in Housing Associations and Arms’ Length Management Organisations; elected Members in local authorities; Housing managers, Finance managers, tenant representatives and all those with an interest in risk management in social housing. I have previously expressed my concern at the way in which Communities & Local Government (DCLG) have treated depreciation, impairment and the funding of major repairs in the English self-financing settlement. In particular, the intention that depreciation and impairment will become ‘real’ charges to the housing revenue account and therefore to tenants after the current transitional period comes to an end in 2017. My fear is that these essentially notional costs could become unaffordable for some authorities and it appears that this fear is shared by others in the sector. It appears that Communities & Local Government are hoping that a solution will be found by the Chartered Institute of Public Finance & Accountancy (CIPFA). I will update readers of my blog when I receive further news! I hope that my readers had a Merry Christmas and a Happy New Year. This week we launch our 2015 series of â€˜All You Want to Know about Local Authority Housing Financeâ€™. This series of seminars and workshops is designed to give an introduction and overview to this important subject and is fully up to date with all developments. It is designed for people who are not experts in housing finance, but who need to understand the basics and achieve an overview of what is going on. It is suitable for councillors, housing managers, tenant representatives, finance staff who have limited experience of local authority housing finance and others who realise that an understanding of housing finance can place them at an advantage â€“ especially when considering the financial opportunities and threats that exist for local authority housing! If you think that a working knowledge of local authority housing finance would put you and your colleagues in a position of advantage this is the event for you! I have decided that I will stand down as Chair of Impact Housing Association at the 2015 annual general meeting in June. With an increasing management consultancy and training workload at â€˜AWICSâ€™ I am finding it increasingly challenging to combine being Managing Director of â€˜AWICSâ€™ with the role of Chair of Impact Housing Association. By this summer I will have completed over six years as a Board member and four years as Chair. I have found it an extremely rewarding experience. Impact Housing Association is an excellent organisation that is continuously improving on its already high standards and excellent achievements. I have been privileged to be part of this and to have had the opportunity to contribute to achieving Impactâ€™s mission of making improvements through action. Cumbria County Council is clearly not the only public or private sector organisation that is looking to make more use of volunteers. It is to be hoped that volunteers will be used to â€˜add valueâ€™ rather than just being used to replace paid staff. My fear is that we are creating an economy where young people, in particular, have to spend a considerable amount of time working as unpaid volunteers before being offered paid employment. We need to avoid a situation where employers get free labour, volunteers get job seekersâ€™ allowance rather than the minimum wage, and the taxpayer effectively subsidises the employer. Our next seminar and workshop will be on â€˜Implementing Self-Financing in Walesâ€™. We will hold two sessions: the first in Cardiff on 10th February 2015 and the second in Wrexham on 12th February 2015. These sessions are proving popular but we still have a few places available.